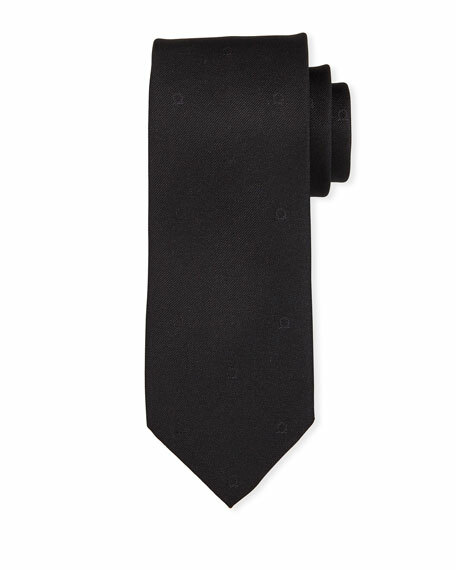 Salvatore Ferragamo tie featuring interlocking Gancini. 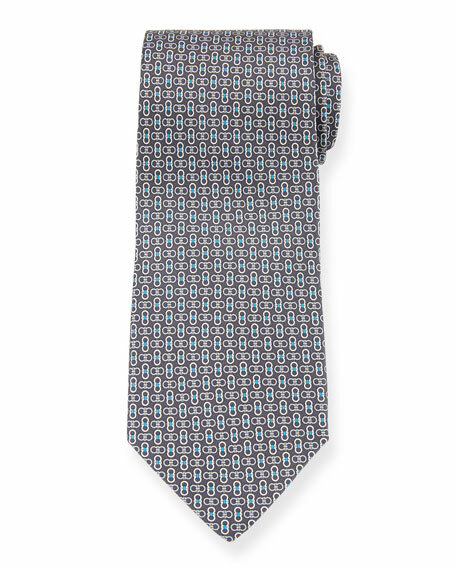 Salvatore Ferragamo tie featuring bird print. Approx. 3" at widest. Silk; dry clean. Made in Italy. 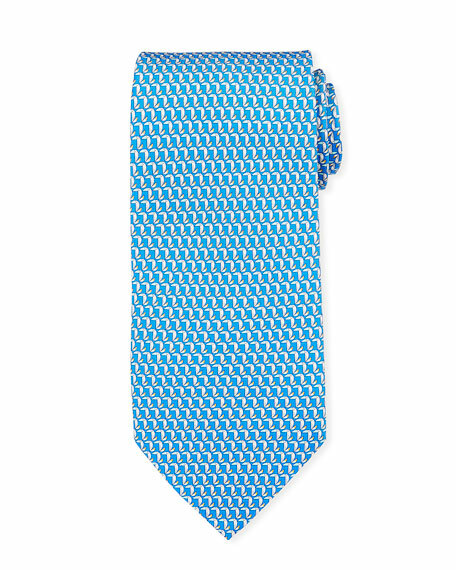 Salvatore Ferragamo tie in Gancini motif. Approx. 57"L; 3.5" at widest. Silk; dry clean. Made in Italy. 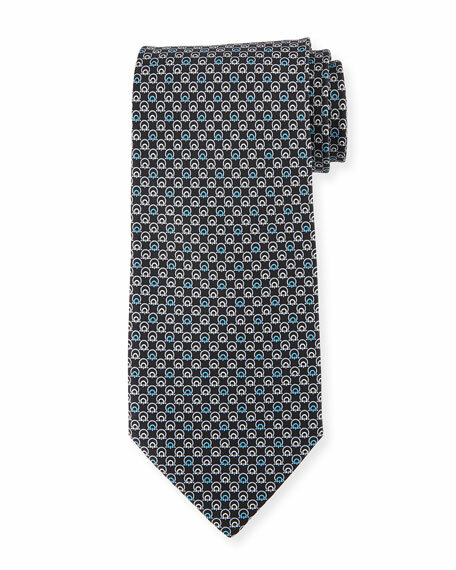 Salvatore Ferragamo "Eston" tie in twill with tonal Gancini brocade. Approx. 3" at widest. Silk; dry clean. Made in Italy. 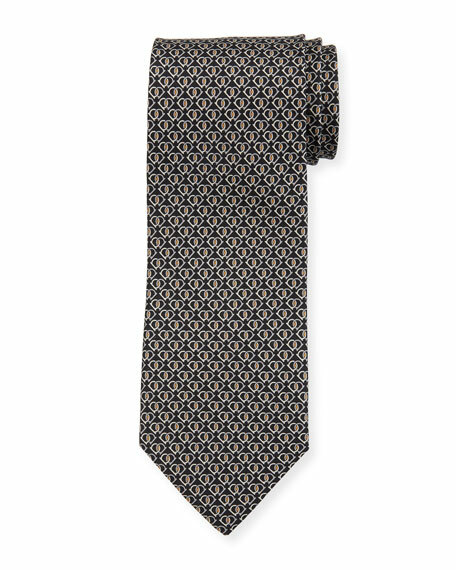 Salvatore Ferragamo tie in silk twill with bow-shaped Gancini links print. Approx. 3" at widest. Silk. Made in Italy.